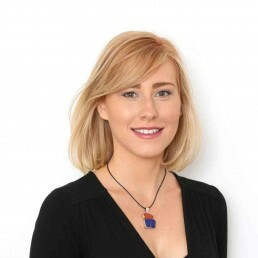 Victoria specialises in residential property and has developed her expertise in this area, particularly new builds. She works with both developers and prospective purchasers of new build properties and has experience in dealing with Help to Buy. Victoria takes a proactive approach and places emphasis on building relationships with clients, making an effort to communicate closely with clients throughout their transaction. Prior to joining Beverley Morris & Co., Victoria gained a degree in History and Politics at the University of Exeter. Whilst at university, she spent time volunteering at the Citizens Advice Bureau. She qualified in 2017 and works closely with Angela Stanton, a partner in the firm. Victoria believes strongly in conservation and protecting the environment. In her spare time, she enjoys reading and staying active with running, cycling, yoga and attending the gym. She also takes an active interest in food, health and wellness.